Harvard University is nearly a 1 billion-dollar player in a multi-million dollar life science research marketplace. Home to the largest comprehensive cancer center in the world (Dana-Farber/Harvard Cancer Center), this marketplace receives millions in public and private funding from foundations and individuals. It’s a large and growing market opportunity for lab supply companies looking to expand their reach. Harvard University is home to the largest comprehensive cancer center in the world – the Dana-Farber/Harvard Cancer Institute. Construction is underway on Harvard's new $1 billion science and engineering building. This complex is designed to house 1,000 undergraduate students, 400 graduate students, 450 researchers and 80 faculty members. The building is expected to be complete in 2020. Harvard University oncology researcher Lee Nadler has received multiple NIH grants totaling nearly $120 million over the past five years. Last year, the BioResearch Product Faire™ Event at Longwood Medical attracted 212 attendees of which 82 were professors, post docs and purchasing agents. Of the total attendees 25 were lab managers. These attendees came from 23 different research buildings and 38 on-campus departments. 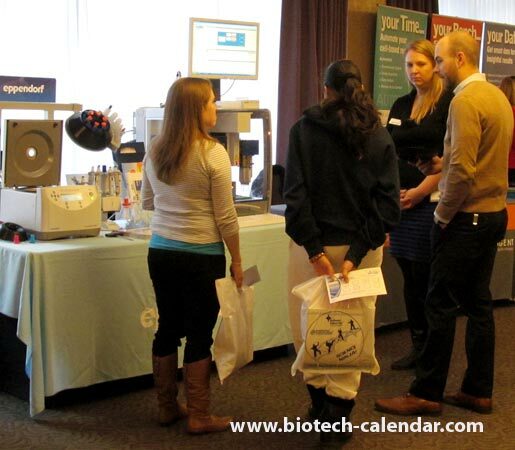 Join other top lab suppliers by bringing the best new tools and technologies to Boston area researchers at the Longwood Medical BioResearch Product Faire™ event.